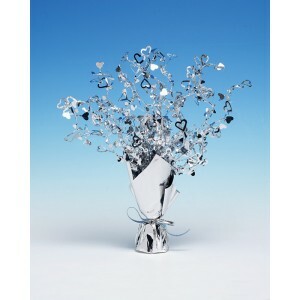 A Lovely New stylish silver foil centrepiece ideal for your Baby Shower or any party table. Approximately 15" (37cm) tall. 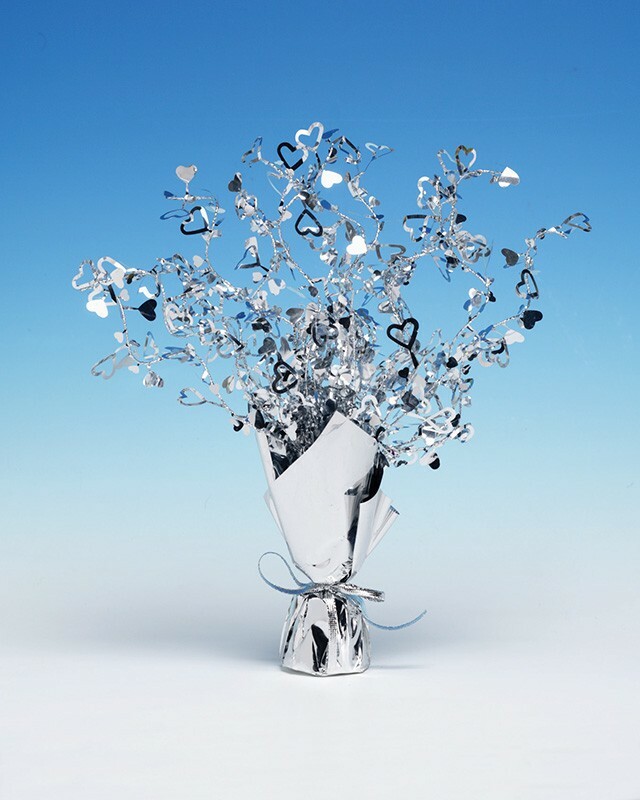 This decoration has a silver coloured weight base tied with a bow then wire branches bursting out of the base. The branches are covered with hearts. This decoration arrives fully assembled - you simply need to fan out the branches as in the image to make a really pretty centrepiece.